Steven James Brody (May 22, 1970 – February 22, 2019), known professionally as Brody Stevens, was an American stand-up comedian and actor. He starred in the Comedy Central reality series Brody Stevens: Enjoy It!, and was known for appearances on Chelsea Lately and other comedy shows as well as small roles in films such as The Hangover (2009) and Due Date (2010). Stevens was born Steven Brody in Los Angeles, California on May 22, 1970. Stevens' family is from New Mexico and Arizona. His grandmother was born in Las Vegas, New Mexico on May 2, 1909. His father, Harold Morris Brody, was born in Phoenix and worked as a private investigator. Stevens described his family as the "pioneering Jews of the southwest". Stevens was raised in Los Angeles, and briefly enrolled in private school until his mother decided he would attend public school. The family moved to Sacramento during Stevens' early childhood. After his parents divorced when Stevens was eight years old, he lived with his mother and older sister in the San Fernando Valley. Stevens did not go to Hebrew School nor read from the Torah for his Bar Mitzvah. In 1982, Stevens attended a nondenominational Christian church with his father, who was dating a member of the choir. He attended Reseda High School, excelling on the baseball team as a right-handed pitcher. His highs included striking out 10 batters on multiple occasions, while his lows included balking in runs in playoff games. Stevens went on to earn a scholarship to play Division I College Baseball for the Arizona State Sun Devils baseball program, starting in four games, pitching 28 innings and recording 3 saves. He graduated with a 2.52 GPA. Stevens' father died at age 63 in 1997. His mother lives in Rancho Mirage, California. 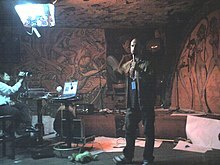 Stevens first tried stand-up in Los Angeles, before moving to Seattle, where he began developing an act, in addition to co-creating and co-starring in a public-access television show with Teina Manu called Brody and Teina that garnered a cult following. His career continued for a three-year stint in New York City, before he found a home on the Los Angeles comedy scene. Stevens appeared on the television shows Late Night with Conan O'Brien, Jimmy Kimmel Live!, Late Friday, Premium Blend, The Late Late Show with Craig Kilborn, The Test with Jillian Barberie, Late World with Zach, The Best Damn Sports Show Period, Attack of the Show!, Childrens Hospital, Tosh.0, TMZ on TV, Fox NFL Sunday, Conan, Comedy Bang! Bang!, The Burn with Jeff Ross, Kroll Show, The Ben Show and @midnight. He was also a regular panelist on Chelsea Lately. 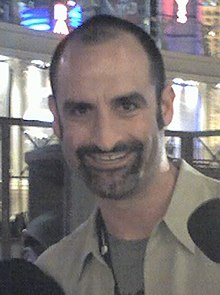 In 2010, Stevens launched his own podcast The Brody Stevens Experiment. Only three episodes were released. On October 7, 2011 Stevens began co-hosting Brode & Esther, a podcast for the Deathsquad network with fellow stand-up comedians Esther Povitsky and Brian Redban. 15 episodes have been released. Stevens was also an experienced audience warm-up performer and did warm-up on The Best Damn Sports Show Period, Late World with Zach, The Man Show, Chelsea Lately, The Burn with Jeff Ross, The Jeselnik Offensive, Rob Dyrdek's Ridiculousness, Who Gets the Last Laugh?, @midnight, and Why? with Hannibal Buress. Stevens also appeared in the films Road to Park City, Jesus Is Magic (2005), The Hangover (2009), I Am Comic (2010), Due Date (2010), and The Hangover Part II (2011). He also appeared in a minor role in Funny People (2009), but his scenes were ultimately cut from the film. Stevens launched another podcast on May 13, 2012 called The Steven Brody Stevens Festival of Friendship on the Feral Audio network. The podcast was a mixture of Stevens talking about his career and personal life, involving his producer Dustin Marshall and interviewing his friends from throughout the comedy world. 69 episodes were released. On November 13, 2013 Stevens launched his latest podcasting venture as the host of Positive Push on the Video Podcast Network YouTube channel, an affiliate of the Jash network. Stevens was also a frequent podcast guest. He regularly appeared on Deathsquad podcasts and appeared on The Joe Rogan Experience as well as The Naughty Show with Sam Tripoli. Stevens also had a presence in the alternative comedy podcast scene, appearing as a contestant on Doug Loves Movies and guest on Earwolf podcasts such as Who Charted? with Howard Kremer and Kulap Vilaysack. In addition, Stevens regularly appeared as a guest on Jay Mohr's sports radio show Jay Mohr Sports. Stevens performed in a wide range of comedy clubs across Los Angeles and was famous for his late-night spots at the Comedy Store. On February 27, 2013, Stevens taped a live comedy set at The Royale Theater in Boston for the second season of Comedy Central's The Half Hour. While in Boston, he also recorded a series of interviews with the other 16 comedians appearing on The Half Hour called Push & Believe. It was released on Comedy Central's YouTube channel in December 2013. Through the summer of 2013, he traveled the country performing on the Oddball Comedy Tour headlined by Dave Chappelle. Roughly a year before his death, starting on February 12, 2018, Stevens served as a radio co-host on the Barstool Sports Sirius XM radio show, Dialed in with Dallas, hosted by former MLB Pitcher Dallas Braden. On February 22, 2019, Stevens was found dead in his Los Angeles home of an apparent suicide by hanging. He was 48 years old. ^ Gropman, Adam (December 15, 2011). "Brody Stevens, Standup Comedian, Speaks Out About his Infamous Twitter Meltdown". L.A. Weekly. ^ Fernandez, Alexia (February 22, 2019). "Hangover Actor Brody Stevens Dies by Apparent Suicide at 48". People. Archived from the original on February 24, 2019. ^ Beresford, Trillby (February 22, 2019). "Comedian Brody Stevens Dies at 48". MSN. Archived from the original on February 24, 2019. ^ a b "WTF with Marc Maron Podcast Episode 69". Youtube.com. ^ "Fitzdog Radio with Greg Fitzsimmons March 08, 2011". Youtube.com. ^ "Dr. Drew Podcast Episode 47". Drdrew.com. ^ "Deathsquad Thunderpussy Podcast Episode 1". Youtube.com. ^ KOWALICK, VINCE (29 April 1988). "Win or Lose, Reseda's Brody Maintains High Spirits". Los Angeles Times. ^ "Los Angeles Times April 07, 1988". Articles.latimes.com. ^ "Los Angeles Times April 14, 1988". Articles.latimes.com. ^ "Los Angeles Times April 22, 1987". Articles.latimes.com. ^ "The David Feldman Comedy Podcast: Brody Stevens". Davidfeldmanshow.libsyn.com. ^ "Stand-Up". Comedy Central. Retrieved 23 February 2019. ^ "Nose Business Like Show Business". Brody Stevens: Enjoy It!. Season 1. Episode 6. Comedy Central. 2013. ^ "Brody Stevens - Push & Believe with Brody Stevens". Comedy Central. YouTube. December 16, 2013. Retrieved February 23, 2019. ^ Luippold, Ross (June 17, 2013). "Dave Chappelle To Headline Oddball Comedy & Curiosity Tour Presented By Funny Or Die". The Huffington Post. Retrieved February 23, 2019. ^ Alexander, Bryan (23 February 2019). "Comedian Brody Stevens dies at 48, prompting mourning: 'Everybody loved Brody'". USA Today.